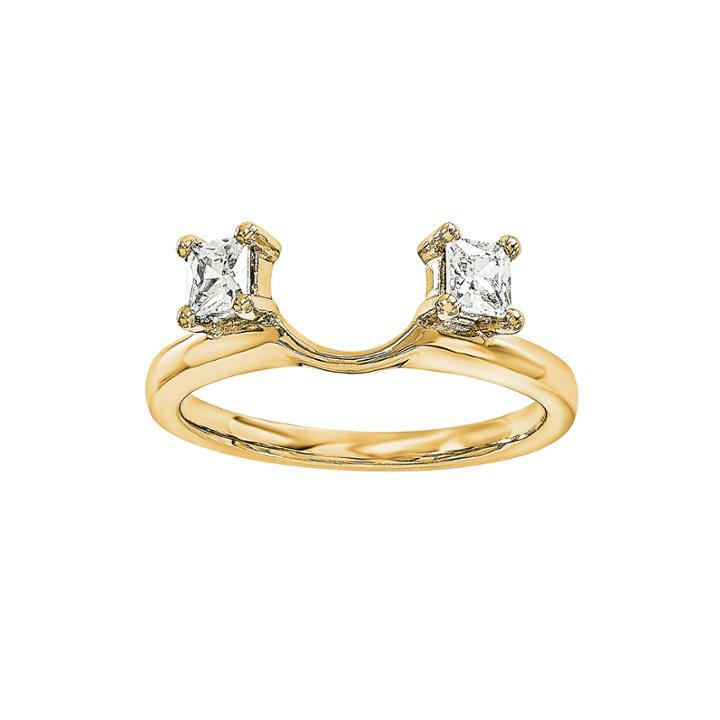 Update your ring by adding our 14K yellow gold enhancer, featuring dazzling 1/3 ct. t.w. diamonds. Metal: 14K yellow gold Stone: 1/3 ct. t.w. diamonds Color: G-I Clarity: I1 Setting: Prong Gallery Height: 3.3mm Diamond total weights may vary between .01 and .08 carat. Jewelry photos are enlarged to show detail.